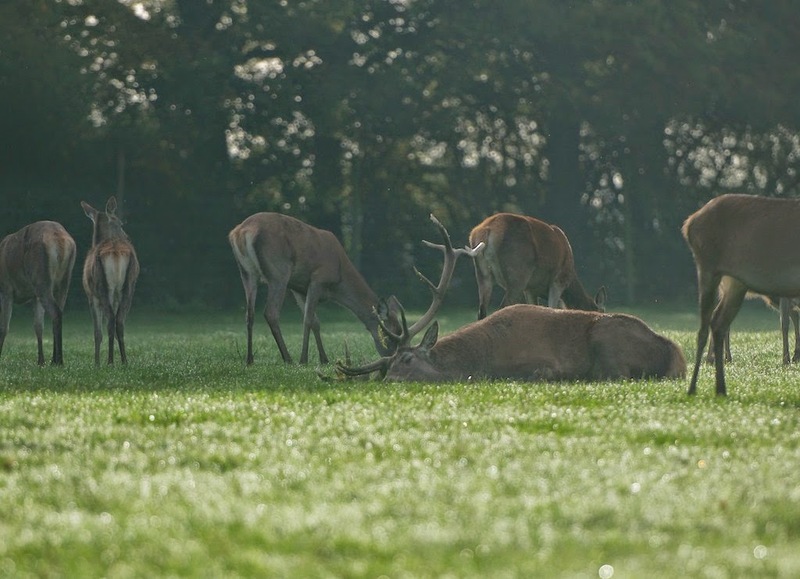 Our red deer are nearing the rutting time of year. If you had asked me a few weeks a go if I thought any action would take place this year, I would have said no... but little ol' Olivander has been standing up to Albus a bit over the last few days, despite being quite a bit smaller, and so who knows. 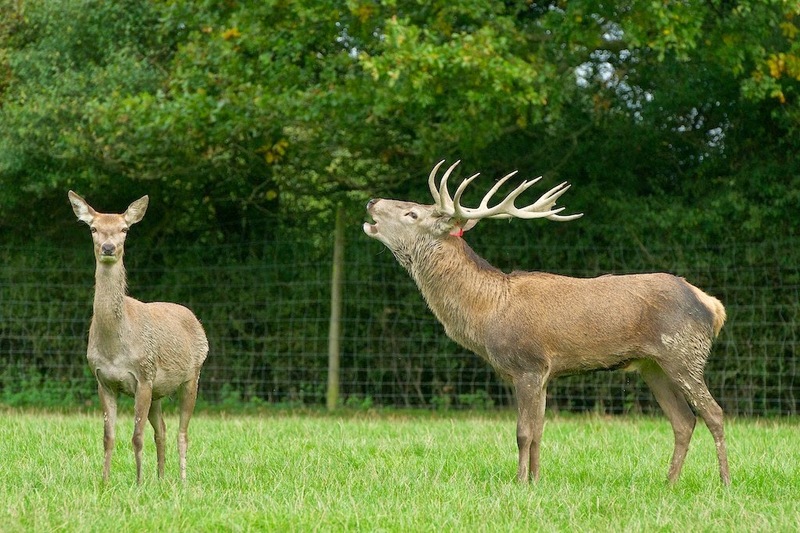 They may actually clash antlers this year! 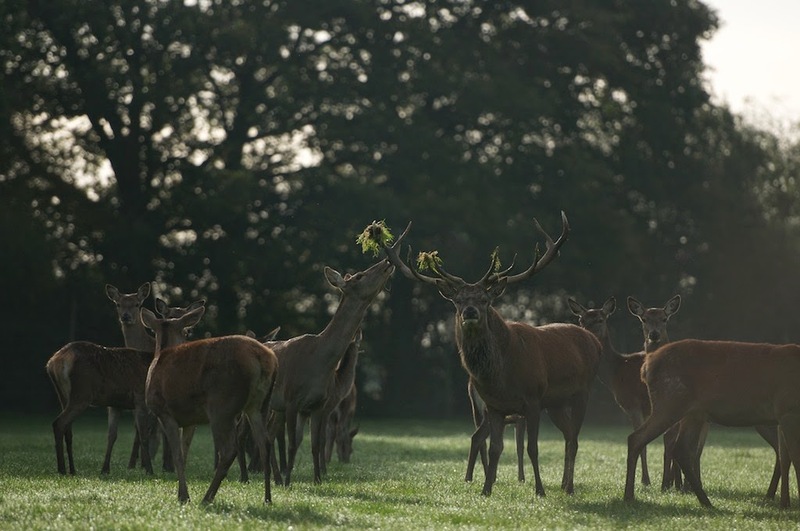 The rut usually starts around the end of September, and lasts for a few weeks where the stags rarely eat or sleep... they are just concerned about the other males and females and what they are doing. 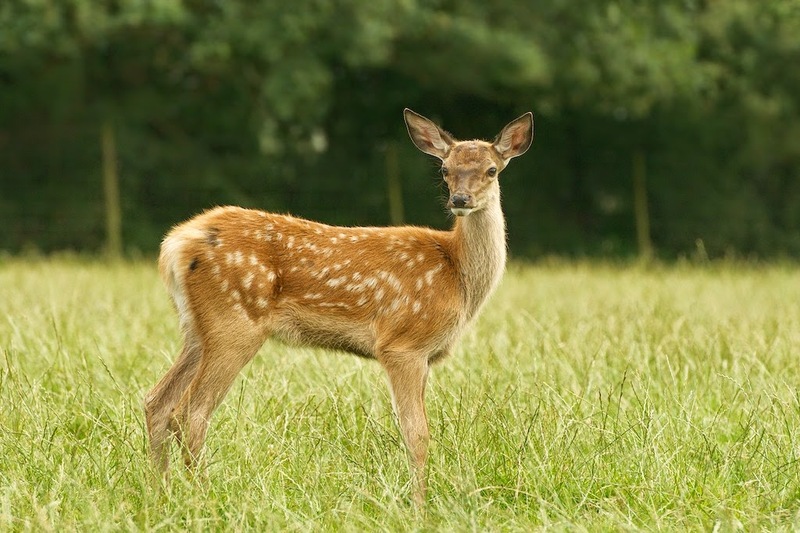 During this time they can lose a lot of condition, but soon pile it back on again over the winter and following spring. 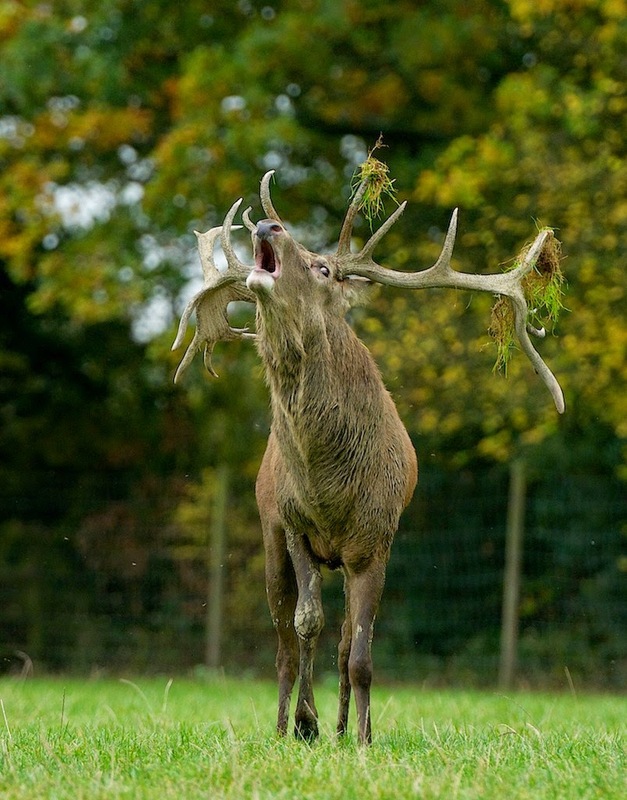 The above two photos show one of our older stags, Eric, doing what is called "flehming" or the flehmen response. 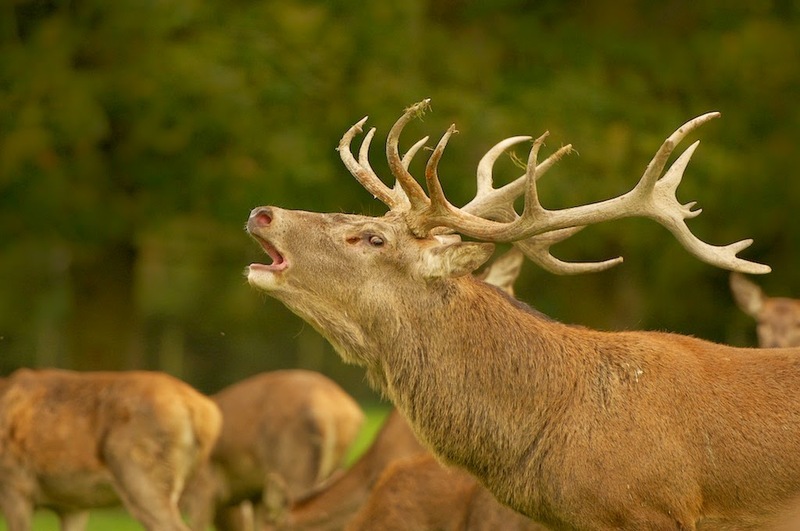 It is a behaviour where the deer curls its lips back, and inhales. 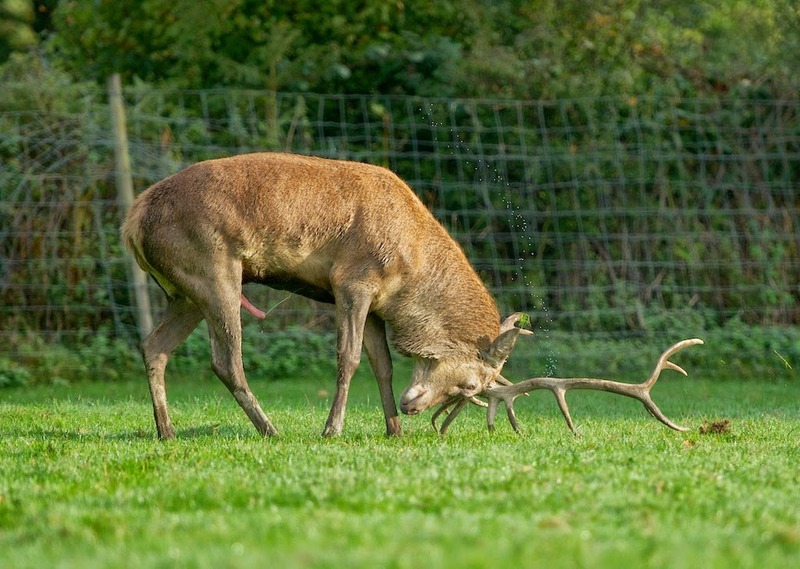 Quite often after sniffing the ground where a hind has been. 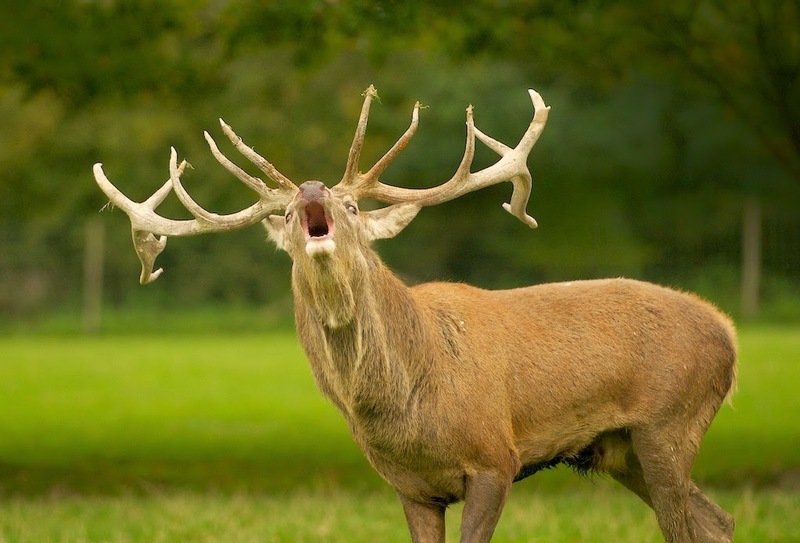 This response passes the pheromones in the air into an organ above the roof of the deers mouth, called the vomeronasal organ, allowing him to tell if the females are ready to mate. 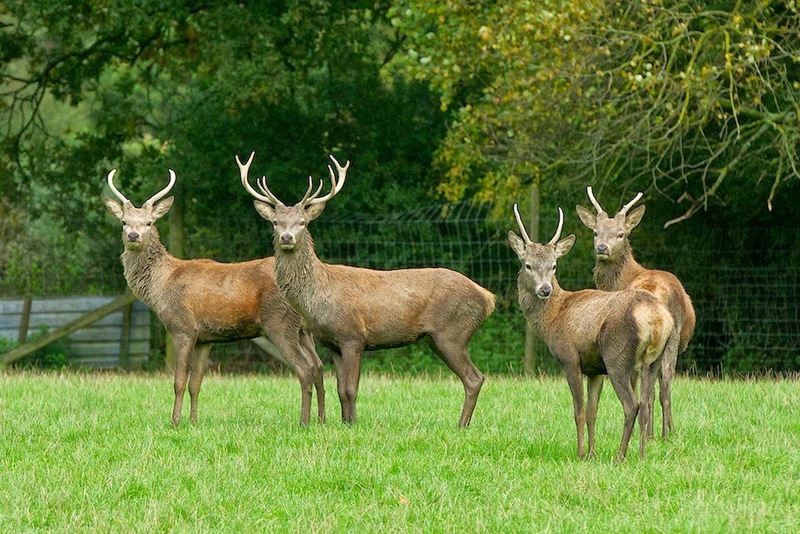 During this time the males, or stags, display their dominance over the rest of the herd. Usually by sizing each other up and "roaring". 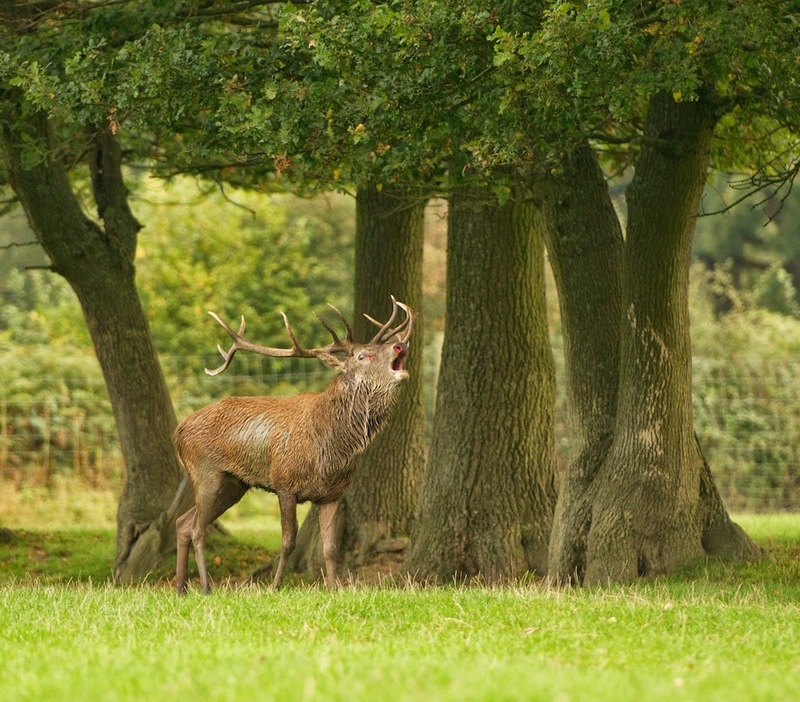 At the centre this roaring can be heard from the other side of where there deer are, it really is loud! 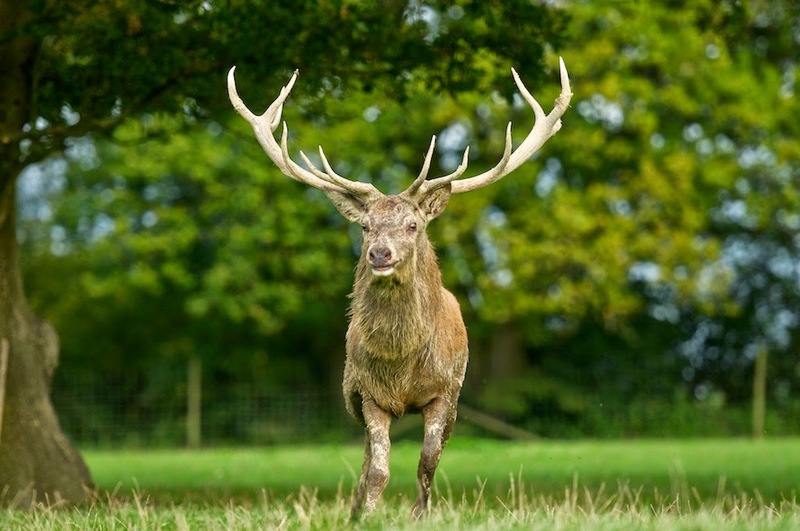 The more dominant stags gain fuller necks during the rut, and the scent glands below the eyes get larger... sometimes even visibly spraying scent out. ...and sometimes anything else which they feel may be a threat! 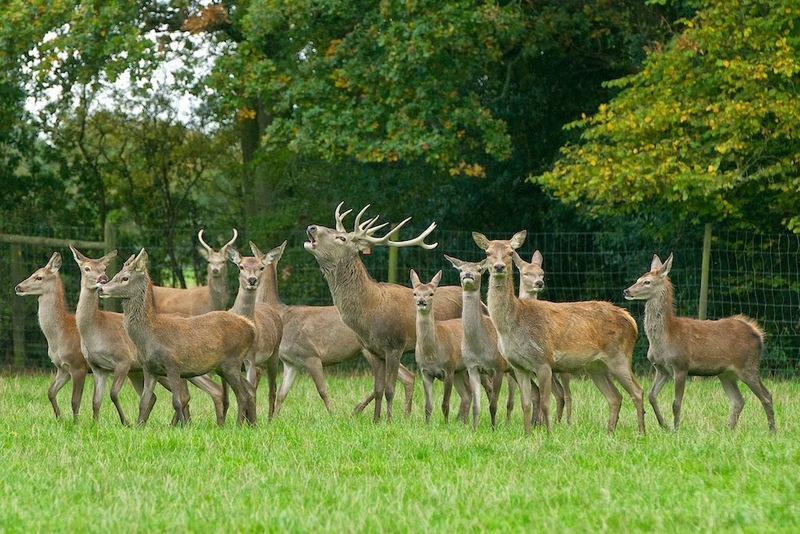 This leads to a bachelor group of younger males on the edge of the herd. 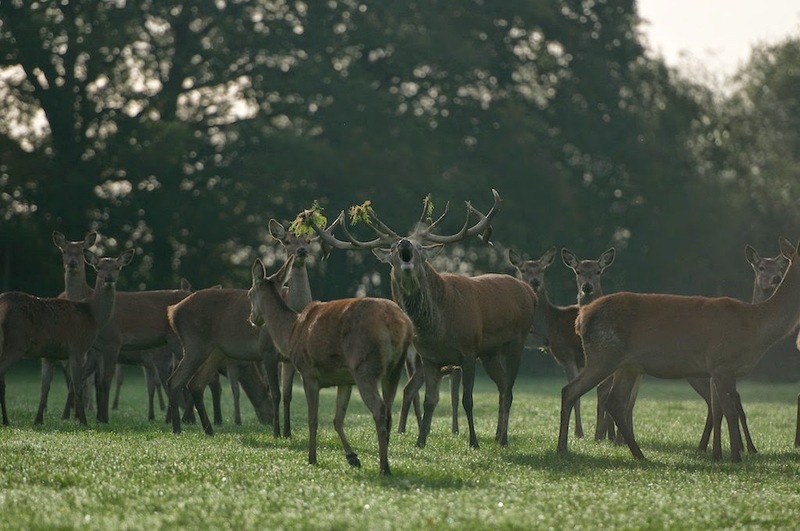 And the dominant stag with the females. 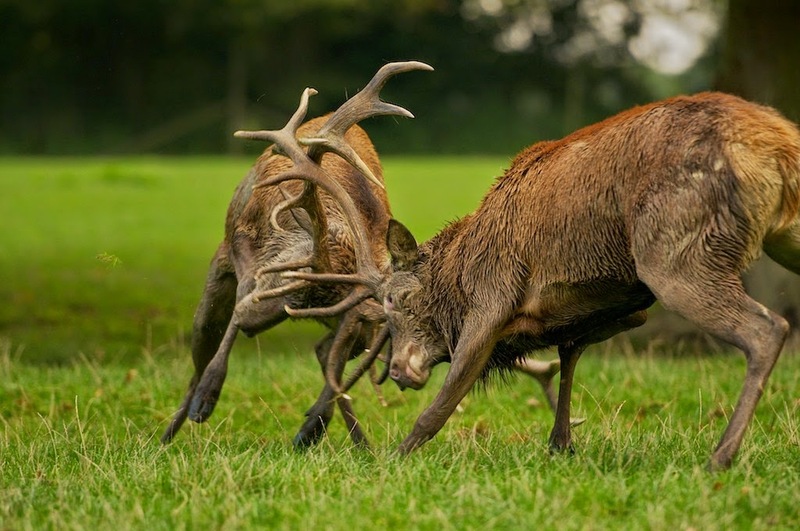 Sometimes another stag will not be so easily chased off, and antlers may clash. 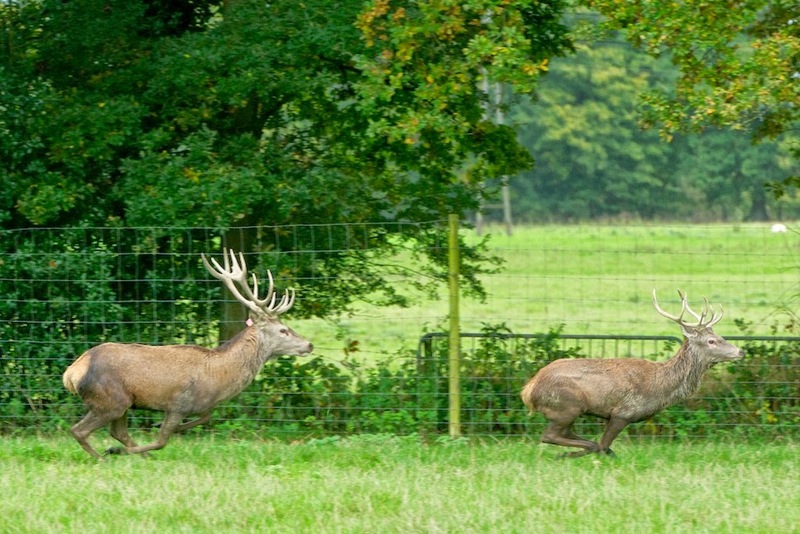 The deer are then trying to push or drive each other away showing they are strongest. Often it is a test of stamina. It is rare that deaths or serious injuries occur, but they can get close to causing some damage. And the victor quickly goes back to expressing his dominance. 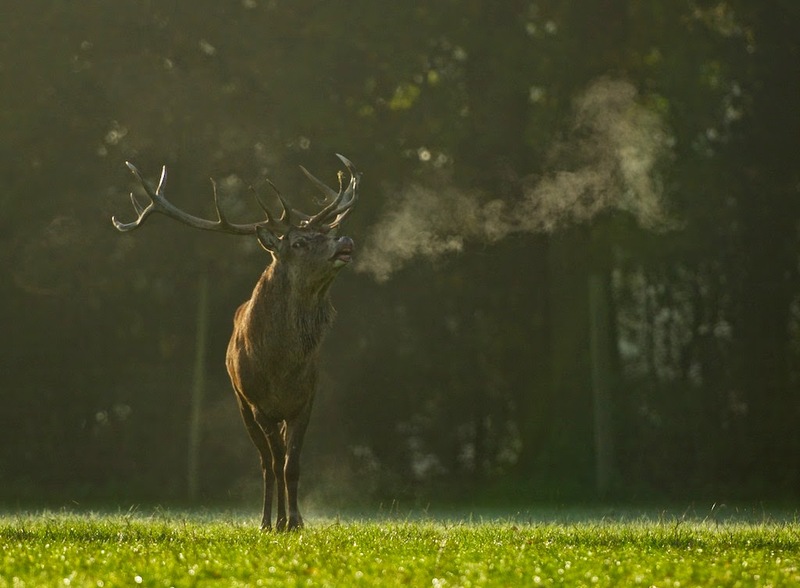 Once the main stag, he needs to impress the ladies with his own unique scent! Usually by spraying urine over himself. 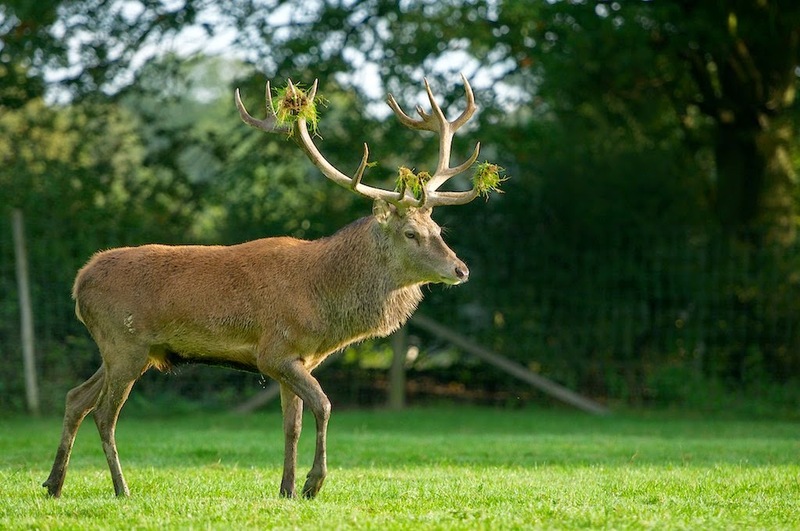 They will also urinate on the ground, and thrash their antlers in it to cover the antlers with their scent and any bits of grass and vegetation. 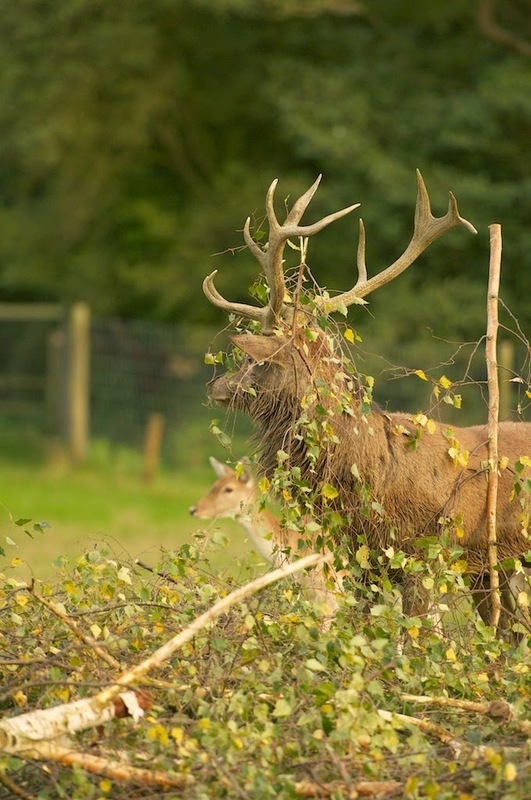 If we put any branches out in the paddock, they will decorate themselves with these too. Then off to impress the hinds and see what they think. At least one of them was impressed!.. 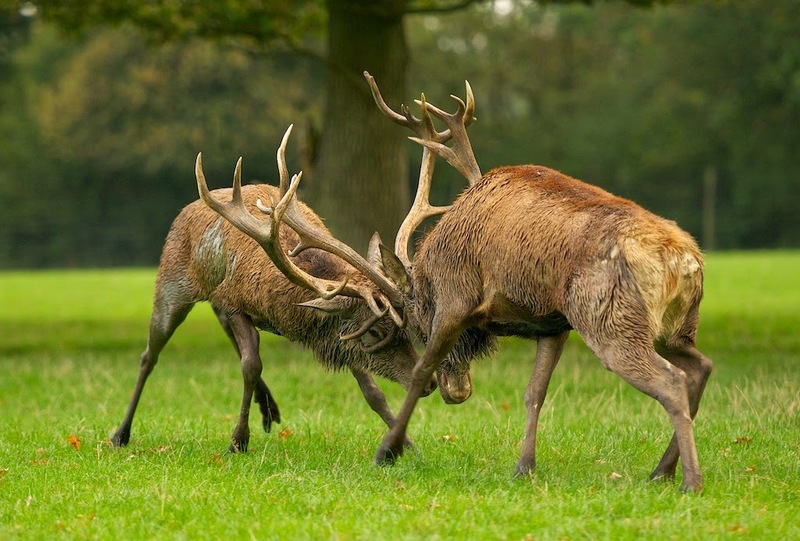 At the end of the rut, the dominant male will mate with the females. ... a little over eight months later, and he will have some of his calves running around the paddock with him. 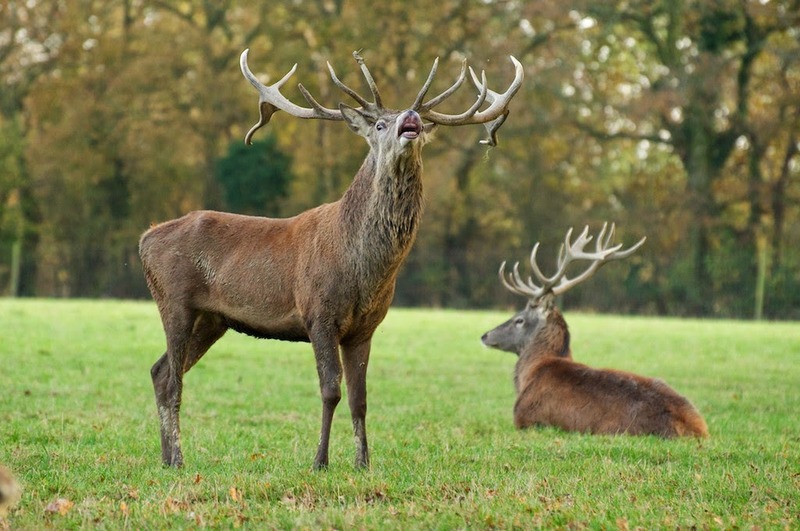 Hopefully there will be some clashing of antlers this year, but even if not there will still be a lot of the other rutting behaviour to come and see... roaring, flehming, chasing etc.